For a long time, I thought I was a christian. 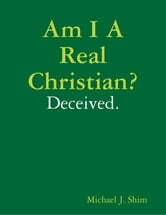 I thought I believed in the death and resurrection of Jesus Christ and that Jesus was the son of God. But I know now that my so-called “belief” was not real. My “belief” resulted from false teachings from so-called “pastors” who are nothing but charlatans, who have no power and no anointing. These charlatans are the result of bible colleges that turn out men and women who have a lot of bible knowledge and know how to sing and play the guitar but have no spiritual discernment or power. These men and women have a degree from a bible college and nothing else. This degree, this piece of paper, is the “anointing” they received from a bible college but it is not an anointing from God. 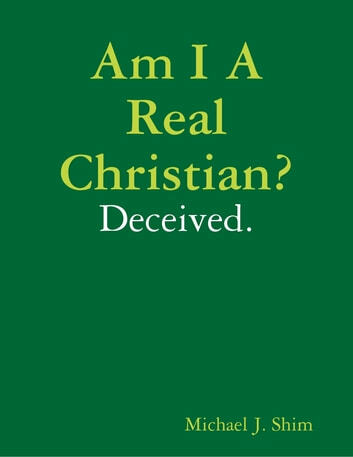 Books related to Am I a Real Christian? Deceived.